The Devoti D-Zero is recognised as one of the most exciting of the new generation dinghies; appealing to any age, size or ability, from beginner to the most discerning experienced racer. Rapidly increasing fleets, from Cornwall to Scotland, a comprehensive regatta program and training, all can enjoy the D-Zero experience. The Devoti Optimist uses the same super high-quality build techniques, ceramic moulds and highly experienced builders to provide the highest specification Optimist on the market. From the results in Europe and North America, the Devoti Optimist is the one to be sailing ! From the makers of the Devoti Finn Fantastica that Ben Ainslie sailed & kept winning the Olympics, and all the top Finn sailors request no other builder, the passion and quality of build is passed to every dinghy. See why others want to sail Devoti D-Zero and Optimist. ​The Devoti boats are coming to a water near you at several demo events throughout the year across the UK. We have a demo D-Zero and Optimist available for use at events. The Optimist is ready to swop your rig and foils into, to give an immediate comparison between your current hull and the Devoti. At some events, current D-Zero owners will be on hand to show off the performance, and what they believe this is the boat of choice for many - you'll know what when you've tried it. See the Demos and Training page for further details of the locations and dates. Or contact the team and ask how a demo near you can be arranged. The D-Zero is a clear demonstration of "No Compromise"
Dan Holman designed the Punk and spent a few years developing it and transforming it, along with Sue & Rodney Cobb @ Suntouched Sailboats, and with Luca Devoti & Roman Teply @ Devoti Sailing, with help from North Sails, Compotech Carbon Components and Harken, and has evolved into the amazing end result of the D-Zero that we know today ! Luca & Roman @ Devoti say "Great for just a fun outing, but designed with the competitive sailor in mind, the D-Zero is a RYA recognised class with a full calendar of regattas in the UK, and a growing fleet in other European countries. And the most important: it is a blast to sail ..."
​Finance options are available to help you fully experience the D-Zero and Optimist in a wallet friendly manner - please click on the Pegasus image to the left for more information. Pegasus will work with us on our brokerage used dinghies aswell as new boats. Mandy Sweet, 5th @ 2016 Inlands - Its great fun to sail because its so light and responsive, it gives you a real buzz ! Ian Morgan, 2016 National Champion - This must be the fastest and most comfortable single handed hiker upwind I have ever sailed ! Jez Adams, keen sailor - Having raced a Laser for 6 years I have found the D-Zero an absolute joy to sail ! Delivering performance with less effort. And they look fantastic on the beach too ! 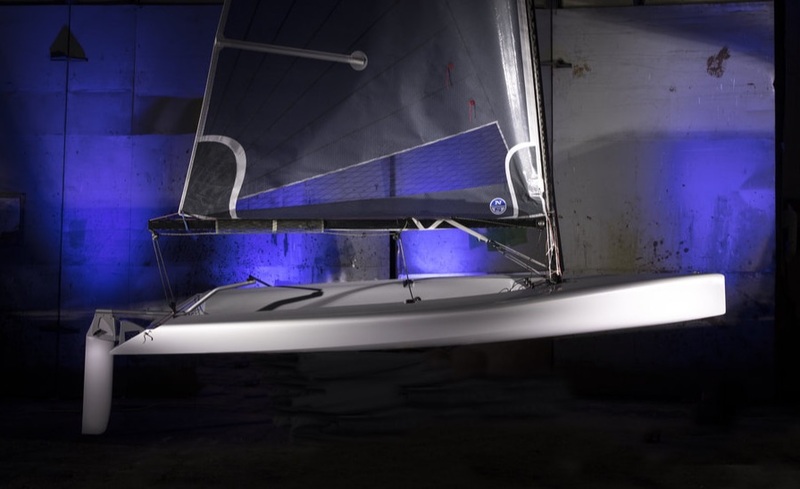 Whether you wish to race or social sail, the D-Zero will give you the performance you require without the days of practice. Rigged in minutes, launched in seconds, fun for hours ! Its great for fun, though designed for the racer of any level, and very competitive - currently running a PY handicap of 1029 grey rig or 1070 blue rig, you'll be mixing it with the asymmetric double handers on the upwinds, and annoyingly quick on the downwinds ! Don't take our word for it, it is a blast to sail, come and try it !